Despite our best efforts, sometimes things break. The important thing is how the customer is handled when things go wrong. At Advanced Transmission Center, we have well-defined and documented procedures for handling issues when they arise. We are 100% focused on diagnosing the issue and getting the customer back on the road as fast as possible. The last thing you want is to argue with a mechanic about who is responsible for your repair, in other words, dealing with the fine print on your warranty. 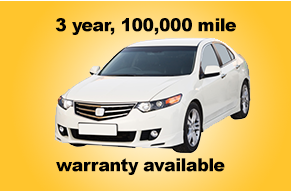 Our standard warranty is just three lines long. NO FINE PRINT. When something breaks, like it did for the customer below, we fix it, fast.